Boracay Island in the Philippines is famous for its fine white sand, booming nightlife, various accommodation choices, and numerous activities. Although its charm is truly exceptional, there are other islands out of the 7,107 in the Philippines that tourists could go to while Boracay is temporarily closed to restore its original, natural beauty. 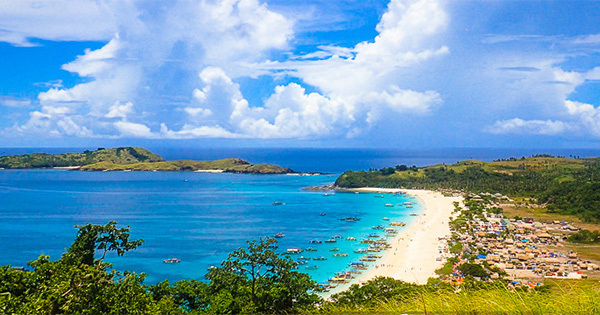 #1 - Calaguas Island: Having powdery white sand and crystal blue waters, this island in the province of Bicol in Camarines Norte is sometimes even claimed to be better than Boracay. It has relatively cheaper expenses, well-preserved nature, and much serene than Boracay. #2 - Siquijor Island: Dubbed as the Island of Fire because of its eerie glow, this island south of Cebu and southwest of Bohol claims to be so much different than Boracay. Even though it has comparable white sands, it is much less crowded and more peaceful. #3 - Islas de Gigantes: Set on the opposite corner of Boracay, this cluster of 10 islands located in Panay in Western Visayas offers a different kind of beach experience. It offers uncrowded white sand beaches, off-the-beaten-track appeal, and eat-all-you-can seafood. #4 - Palawan: This whole province of Palawan offers different islands that could be compared to Boracay. The beaches in Coron, Puerto Princesa, and El Nido are all exceptional by itself and thanks to its preservation, it has continued to maintain its natural beauty. #5 - Bonbon Beach: Romblon, one of the most underrated islands in the Philippines, and many say that is because it is very close to Boracay but is less exciting. But if what you're looking is tranquility, Bonbon Beach might just be the perfect place to be. #6 - Guimaras Island: One of the smallest provinces in the Philippines, it offers a lot more than the others. It has white sand beaches that are almost as good as Boracay's and is famous for its mangoes that are said to be one of the sweetest in the world. #7 - Panglao Island: Aside from tarsiers and Chocolate Hills, Bohol also boasts of fine beaches with white sand on a par with Boracay. Alona Beach in Panglao Island is one of the most famous in the area and it also offers amazing snorkeling sites and a bustling nightlife. #8 - Pagudpud: A town on the north coast of Luzon, it features several attractions such as windmills, waterfalls, caves, rock formations, and beaches. The long stretch of Saud Beach and the shores of Blue Lagoon has fine, white sand that could go head-to-head with Boracay's White Beach. #9 - Camiguin Island: Located in the Northern Mindanao area, Camiguin Island is known as the Island Born of Fire for its volcanic eruptions. Another famous attraction is the White Island, a sandbar with a panoramic view of Mount Hibok-Hibok and without the Boracay crowd. #10 - Puerto Galera : The nearest option for those coming from Manila, either the Sabang Beach or the White Beach of Puerto Galera has almost the same vibe as Boracay. It also hosts numerous resorts, restaurants, bars, and outdoor activities.